Let’s look at a brief definition of these two Christian virtues. The key word here is “brief” as the complete Holy bible is about faith and righteousness. Faith is a secure and unquestioning belief in God, a trusting acceptance of God’s will and truth. Righteousness is being spiritually and morally upright; without guilt or sin. We receive salvation and hope of eternal life by the grace and resurrection of our Lord and Savior Jesus Christ. Romans 5:2 through whom also we have access by faith into this grace in which we stand, and rejoice in hope of the glory of God. We become a new creation different from all others in the world. We are unique as we have eternal life in us now. We will go on living even after this corruptible body we are entombed in returns to the dust of the ground. 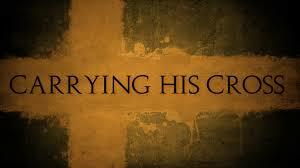 We need the righteousness of Christ in us as our righteousness is described by God as a filthy rag. Isaiah 64:6 But we are all like an unclean thing, And all our righteousnesses are like filthy rags. But through the grace of Christ we are made Holy, sanctified, and a temple of the Holy Spirit. The perfect, sinless body of Christ resides in us NOW. We need to be reminded of this that we are Holy, belonging to Jesus Christ, bought and paid for with the high price of His blood. We are no longer of this world. We are citizens of heaven. Galatians 3:7-9, 14 Therefore know that only those who are of faith are sons of Abraham. And the Scripture, foreseeing that God would justify the Gentiles by faith, preached the gospel to Abraham beforehand, saying, “In you all the nations shall be blessed.” So then those who are of faith are blessed with believing Abraham. that the blessing of Abraham might come upon the Gentiles in Christ Jesus, that we might receive the promise of the Spirit through faith. As I said earlier we need to be reminded and how are we reminded? God’s Word says by preaching! The preaching of faith and righteousness is for all men whether they are lost or saved. We are to grow in the grace and righteousness of Jesus Christ. Those of us who are saved are all preachers of righteousness we are called to be priests of God. Spread the truth of faith and righteousness for all the earth to hear. The fields are ripe for the harvest and needs many workers! 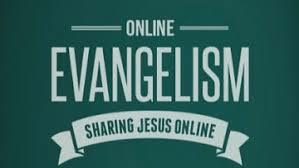 Categories: ENCOURAGEMENT | Tags: body of Jesus Christ, Christianity, Church ministries, eternal life, faith, God, grace, heaven, Holy Spirit, inspiration, Jesus Christ, preach the Gospel, preach the Word of God, preaching, Religion and Spirituality, salvation, Truth of God | Permalink. WILL YOU STAND BEFORE THE SON OF MAN? There are truly fantastic and unimaginable things happening in the world all around us which leads many to believe that beginnings of the end times are here. Jesus gave us insight as to what to watch for, He said that when we see the leaves appear on the fig tree know that spring is near. This is an analogy to be aware of when the end of times is here. In Matthew chapter 24 and Mark 13 He gave many signs that would warn us that the end is near. The question is what will you have accomplished with your life to be able to stand before the Son of Man? The Apostle Paul give us some instruction and explanation of individual situations. 1 Corinthians 7:17 But as God has distributed to each one, as the Lord has called each one, so let him walk. And so I ordain in all the churches. Every one will not have the same results. We have been given the parable of the talents as a guide. But we must use those talents shrewdly. Matthew 25:15 And to one he gave five talents, to another two, and to another one, to each according to his own ability; and immediately he went on a journey. 16 Then he who had received the five talents went and traded with them, and made another five talents. 20 “So he who had received five talents came and brought five other talents, saying, ‘Lord, you delivered to me five talents; look, I have gained five more talents besides them.’ 22 He also who had received two talents came and said, ‘Lord, you delivered to me two talents; look, I have gained two more talents besides them.’ 24 “Then he who had received the one talent came and said, ‘Lord, I knew you to be a hard man, reaping where you have not sown, and gathering where you have not scattered seed. 25 And I was afraid, and went and hid your talent in the ground. Look, there you have what is yours.’ 27 So you ought to have deposited my money with the bankers, and at my coming I would have received back my own with interest. 28 So take the talent from him, and give it to him who has ten talents. As the Lord says, overcome and endure. The reward is worth it! What He has in store for us is indescribable but he gives us glimpses. Revelation 3:21 To him who overcomes I will grant to sit with Me on My throne, as I also overcame and sat down with My Father on His throne. Our God and savior will return in the same manner as He left. (Acts 1:11) What will He find? Will we be asleep spiritually or will we be constantly at attention waiting for His return? 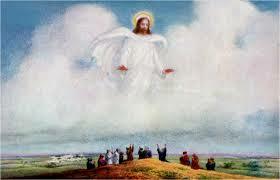 Are we complacent or are do we really believe and have faith that our Lord returns. 36 and you yourselves be like men who wait for their master, when he will return from the wedding, that when he comes and knocks they may open to him immediately. 37 Blessed are those servants whom the master, when he comes, will find watching. Assuredly, I say to you that he will gird himself and have them sit down to eat, and will come and serve them. 43 Blessed is that servant whom his master will find so doing when he comes. God bless you! Love the Lord with all your heart! Look for Him every day! Amen! Categories: Devotionals | Tags: abilities, appearance of Jesus, bearing fruit, behappy, bible study, body of Jesus Christ, Christ, Church ministries, faith, faithfullness, follow Christ, fruits of the Spirit, glory of the Lord, God's throne | Permalink. Are you doing greater works than Jesus did? He said we would! 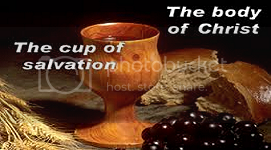 Categories: Devotionals | Tags: body of Jesus Christ, Christianity, Church ministries, Creator, eternal life, faith, God, grace, imitate Christ, Jesus Christ, living sacrifices, prayer, salvation, spiritual growth | Permalink. Deuteronomy 24:17 “You shall not pervert justice due the stranger or the fatherless, nor take a widow’s garment as a pledge. 19 “When you reap your harvest in your field, and forget a sheaf in the field, you shall not go back to get it; it shall be for the stranger, the fatherless, and the widow, that the LORD your God may bless you in all the work of your hands. 20 When you beat your olive trees, you shall not go over the boughs again; it shall be for the stranger, the fatherless, and the widow. 21 When you gather the grapes of your vineyard, you shall not glean it afterward; it shall be for the stranger, the fatherless, and the widow. Psalms 68:5 A father of the fatherless, a defender of widows, Is God in His holy habitation. Pray that we will turn back to God! Categories: PROVOKING THOUGHTS | Tags: Christianity, Church ministries, faith, fruits of the Spirit, inspiration, Jesus Christ, joy of our Lord, living sacrifices, outreach programs, prayer, Religion and Spirituality, theology | Permalink.